JCU has again had strong interest in its courses, with 2,221 students to date already accepting their first preference offer to start study in 2015. James Cook University has again had strong interest in its courses, with 2,221 students to date already accepting their first preference offer to start study in 2015. Last month, JCU offered 2952 university places in the major Queensland Tertiary Admissions Centre (QTAC) offer round at the Townsville, Cairns, Mackay, Mount Isa and Thursday Island campuses. Demand for courses at JCU has remained high, with first preference applications to JCU up by 3.1% in 2015, compared to 2014. Applications to QTAC closed last Thursday (February 5), and for all preferences, JCU expects around 3,100 to accept their offer by next week. However, there are still opportunities to study, with JCU now accepting direct applications for many courses. However, some courses are not open to direct applications, such as Medicine, Nursing, Dental Surgery, Physiotherapy, Veterinary Science, Nursing Science (Graduate entry) and Health Science (Physician Assistant). Direct applications are open until 5pm on February 16, 2015. While Medicine remains popular with high-achieving students, many other OP1 or OP2 students have accepted their offers for courses such as Science and Engineering, which was their first preference. Education, Law, Occupational Therapy, Nursing and Psychological Science also attracted students in the OP1-4 bracket. 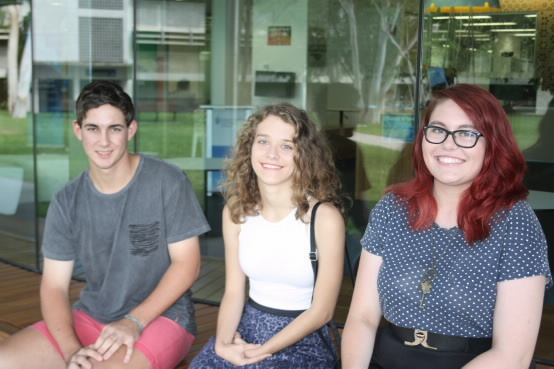 Law is another area of study at JCU that has also traditionally attracted high-achievers. Cathy-Ann McLennan, a JCU graduate, was recently appointed as a magistrate in Queensland. She is the first JCU law graduate to be appointed to the judiciary. JCU advisers are available to talk through any questions or queries any prospective student may have. They can be contacted on freecall 1800 246 446. To apply directly to JCU, or to find out which courses offer direct application entry, freecall 1800 246 446.